I DREW THIS: Open House 2014. 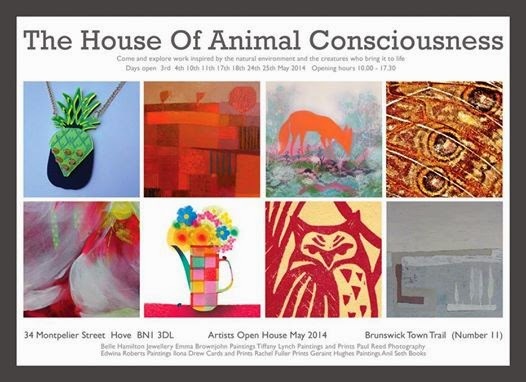 After living in Brighton for eight years now the time has come for me to take part in my first Open House, a month of artists all over Brighton coming together and throwing open doors and offering tea, cake and art, the perfect combination and also a great way to have a little nose inside some of Brightons lovely buildings too. Studio Greenhouse was lucky to be offered the use of a house on Montpelier Street and will be showing the work of fellow studio mates Tiffany Lynch, Emma Brownjohn, Edwina Roberts, Rachel Fuller, Paul Reed, Geraint Hughes and jewellery from Bella Hamilton.